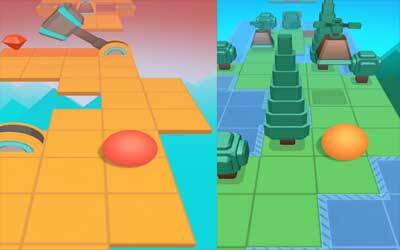 If you love challenging yourself through playing such interesting games, Rolling Sky APK 1.2.3 could be a great reference to try. This game is supported by the incredible 3D effects that would let you enjoy it much while challenging yourself through playing game. The way to play the game is also so practical because all you need to do is just tapping your smartphone once without need to be overwhelmed at all. General role to play this game is rolling the ball to the finish without hitting or bumping any obstacles that already designed for each level. However, the 3D graphics supported this game to have the coolest dramatic effects incredibly. Playing this game could be amazingly challenging because you need to roll the ball properly without being too fast neither too slow, so it could pass the obstacles a head.